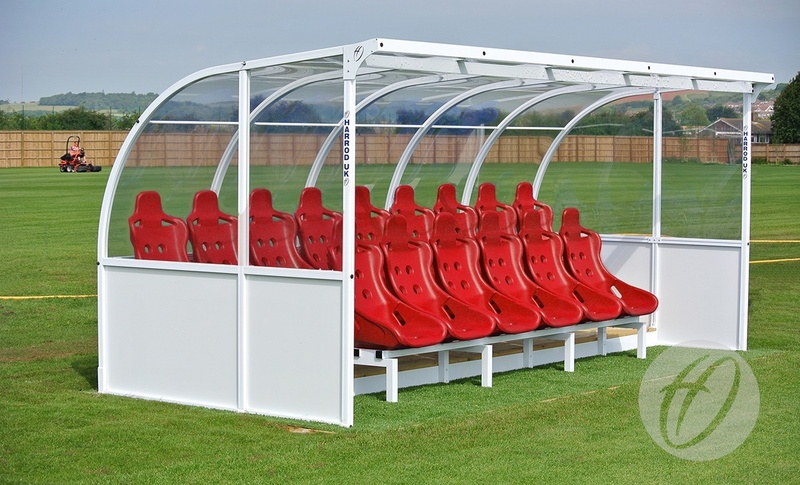 Top of the range shelter designed for professional clubs and top level venues. 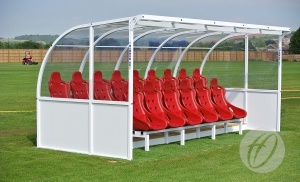 As used at St Georges Park. 2.1m high allowing full standing access. Two tier 15 seat shelter with raised back tier. Injection moulded red polypropylene superior bucket seats.